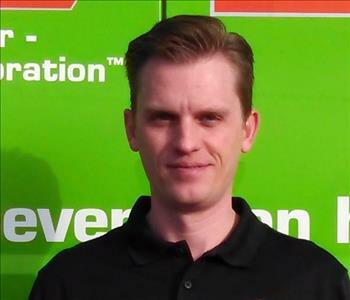 Brian is the operation force that drives the service end of the SERVPRO franchises. He has been an integral part of the family business for quite a few years. 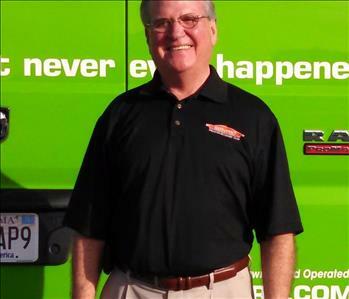 He runs the day-to-day operations of five SERVPRO franchises. He is deeply committed to providing the best and fastest service possible to a local community fire damaged home or a large commercial Extreme Team response on the other side of the country. His job knowledge is extensive as demonstrated by his many qualifications. He is IICRC Certified in JFSRT (Journeyman Fire & Smoke Remediation Technician), JTC (Journeyman Textile Cleaner), CCT (Carpet Cleaning Technician), and Health & Safety. He also has IICRC Certificates for ASD (Applied Structural Drying), AMRT (Applied Microbial Remediation Technician), WRT (Journeyman Water Remediation Technician), NADCA and Lead Renovator Certified. 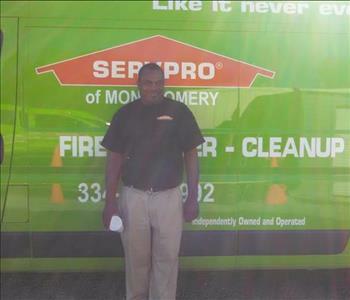 Michael is the Operations Manager and reports directly to the co-owners of SERVPRO of Montgomery North. He coordinates the office staff, production managers, and the sales force to ensure that customer expectations are reached or exceeded. He checks for job compliance and is involved in Large Loss jobs. Michael has been certified by the IICRC in ASD (Applied Structural Drying.) He has earned a BS in Finance and has been with us since 2007. 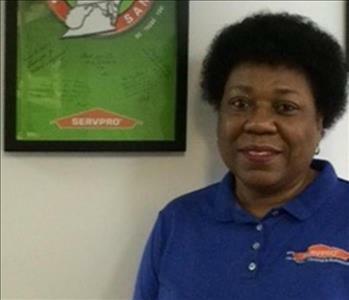 Cheryl is the Office Manager at SERVPRO of Montgomery North. She has a BS in Psychology and is a Certified Public Bookkeeper. 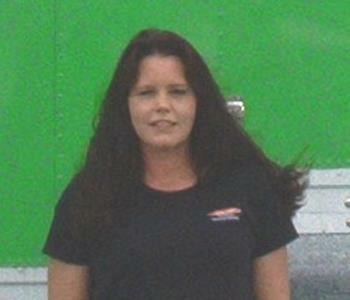 She has been with SERVPRO since 2010 and is highly trained in production procedures. She is IICRC Certified in WRT (Water Remediation Technician) and ASD (Applied Structural Drying.) Cheryl has years of T & M (Time and Materials) Large Loss experience and is FSRT (Fire and Smoke Remediation Technician) certified. 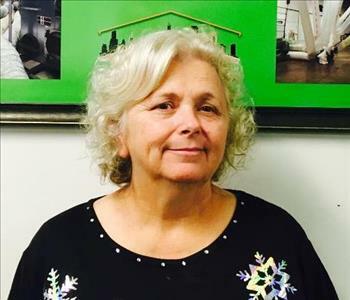 She handles all aspects of running our office with skills in Quick Books Pro/ Premier Certified User, and two SERVPRO Corporate Proprietary software programs Xactimate 27.5 Level 3 Certified User, and Xactimate 28 Level 3 Certified User. From Compliance to job filing to customer satisfaction, Cheryl is a key to our Montgomery teams success. 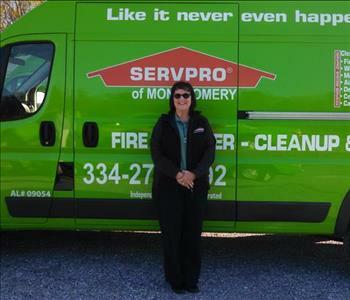 Beth is part of the family that owns SERVPRO of Montgomery North. She is the Accounts Payable/ Payroll Manager. She handles who gets what, and helps with the daily cash flow of the branch. She is in close coordination with the HR manager to make sure proper procedures are followed. Beth has been on staff since 2001. 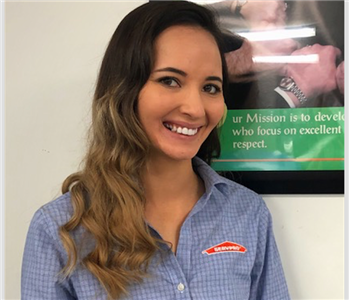 Michelle has been the HR Manager at SERVPRO of Montgomery North since 2009. As Human Resources Manager for Payroll, she works to ensure correct data is entered for each employee. Bonuses, overtime, and benefits need accurate entries to make sure that all team members receive their just compensation. Kara is an Assistant Office Manager at SERVPRO of Montgomery North. She is IICRC Certified in WRT (Water Remediation Technician) and ASD (Applied Structural Drying.) Kara brings field experience to her current position. She is also an Xactimate 27.5 Level 2 Certified User, using this skill in the central hub of our business. Vanessa is our Accounts Receivable Clerk at SERVPRO of Montgomery North. She records and documents the collections necessary to keep a viable business going. She has been on staff since 2015. 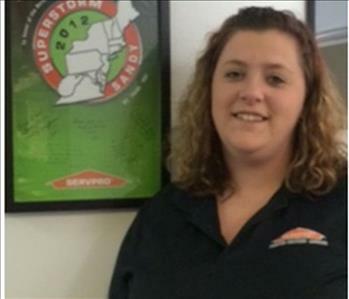 Jennie Grant is a Key Account Manager at SERVPRO of Montgomery North since 2010. She concentrates on the Montgomery & Tallassee areas. Some of her main clients are the Tallassee Chamber of Commerce, Alabama Retirement Homes, and The Rotary Club. She is IICRC certified in WRT (Water Remediation Technician) and is punctual with her appointments. 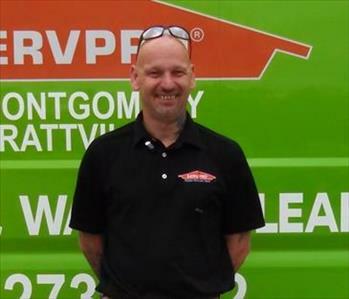 Steve is a Commercial Business Development/Key Account Manager at SERVPRO of Montgomery North since 2012. His political experience and contacts have been instrumental in helping our Franchise. 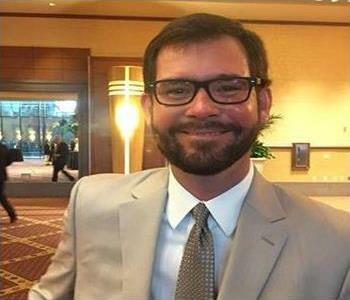 He is vested in Government Associations and the Montgomery Chamber of Commerce. He served as Assistant Secretary of the State under Governor Guy Hunt, Admin Assistant to Governor George Wallace, and Assistant Director of Alabama Development Center under Governor Jim Folsom. Steve has an IICRC Certification in WRT (Water Remediation Technician) that rounds out his resume. Betsy is a Commercial Business Development and Key Account Manager / Commercial for SERVPRO of Montgomery North since 2014. She is an active member of the family Franchise. Her meetings with The Montgomery Chamber of Commerce and The American Red Cross (board member) illustrate our community involvement and dedication to aiding our local residents. We are proud she is part of our Family. 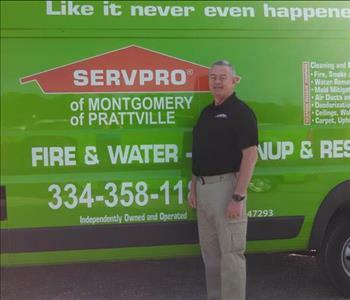 Greg is the Warehouse Manager and Commercial Loss Resource Coordinator for SERVPRO of Montgomery North since 2015. His job is to make sure that all technicians have the right equipment, cleaning products, and vehicles available for locally scheduled jobs or national emergency requests. This is a large task since he tracks the inventory for our SERVPRO Disaster Recovery Team, one of only 13 nationwide. Special kudos to Greg for trekking down to the Houston Storm Flooding. 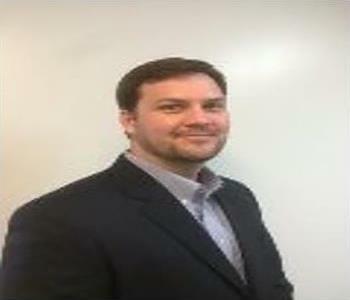 Chris Roberts is the SR. Project Manager for SERVPRO of Montgomery North since 2001. 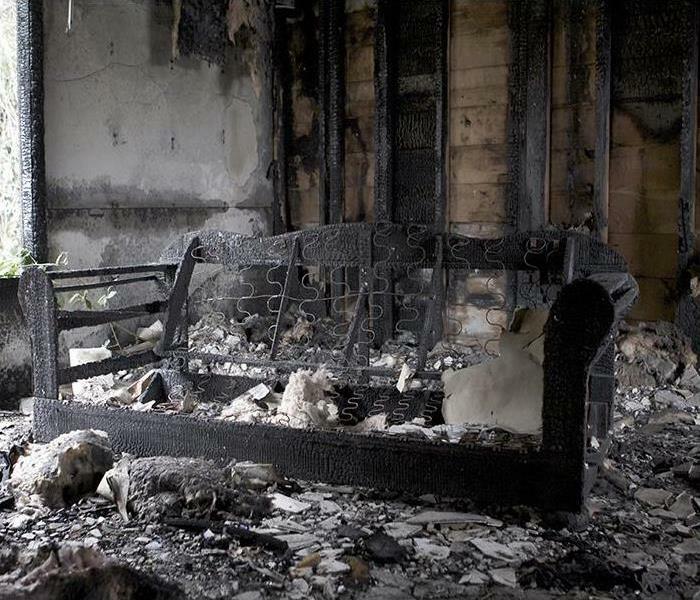 His expertise encompasses all categories of our restoration services, Water, Fire, & Mold. He synchronizes, through his Production Managers, the coordinated efforts required to perform day-to-day operations as he remains in close contact with the office staff. His expertise is shown in his credentials that include IICRC Certifications: WRT (Water Remediation Technician), AMRT (Applied Microbial Remediation Technician), ASD (Applied Structural Drying), and FSRT (Fire & Smoke Remediation Technician). 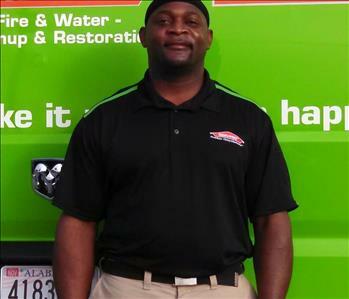 Charles is a Project Manager at SERVPRO of Montgomery North since 2014. His primary focus is on Water and Fire Restoration. He meshes well with the Senior Project Manager to distribute work assignments to the Production Managers. His intercommunications with the office staff guarantee a well-run operation. Charles has IICRC Certifications in WRT (Water Remediation Technician) and ASD (Applied Structural Drying). 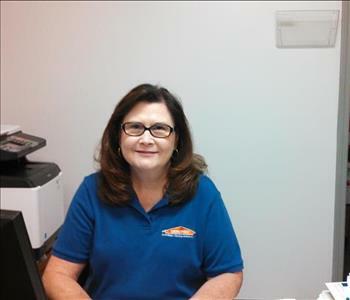 Vicki is a Production Manager at SERVPRO of Montgomery North since 2001. She focuses Fire Restoration for the Pack-Out & Inventory. She oversees the cleaning and the return of fire damaged items to the businesses and homes of our customers ensuring the complete satisfaction of their restored possessions. Vicki has been IICRC Certified for FSRT (Fire & Smoke Remediation Technician), WRT (Water Remediation Technician) and ASD (Applied Structural Drying). 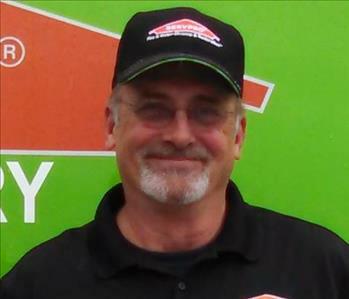 Gerry is a Production Manager at SERVPRO of Montgomery North since 2011. 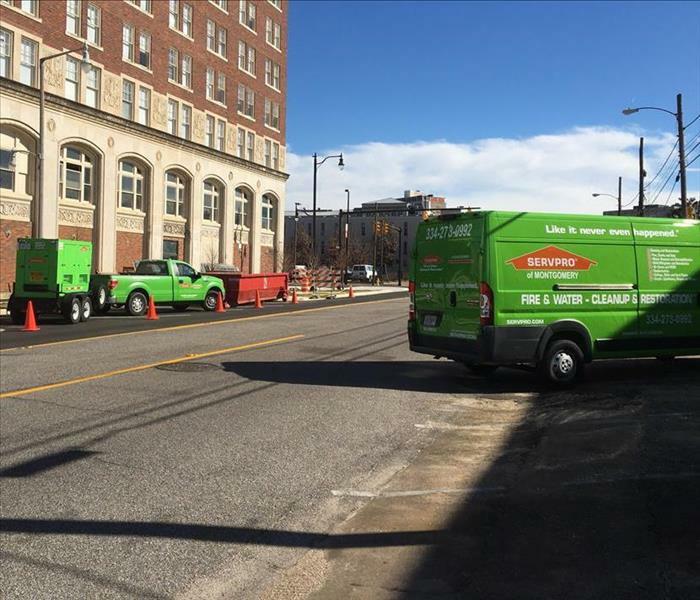 He supervises Water Restoration and scheduled and emergency Duct & Carpet cleaning services. He schedules the jobs and ensures our business clients and homeowners are completely satisfied with the cleaning and sanitizing that they received. Gerry is also IICRC Certified FSRT (Fire & Smoke Remediation Technician), WRT (Water Remediation Technician) and ASD (Applied Structural Drying). 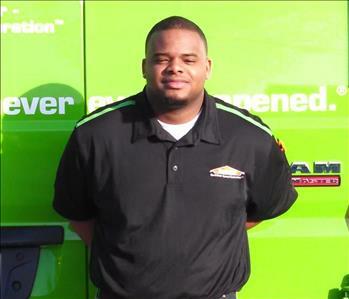 Shonta is a Crew Chief at SERVPRO of Montgomery North since 2011. She is a First Responder to mitigate fire damage and is great in the follow up with the cleaning and the Pack-Out and Inventory control (Fire & POI). She has IICRC Certifications in FSRT (Fire & Smoke Remediation Technician), WRT (Water Remediation Technician) and ASD (Applied Structural Drying). 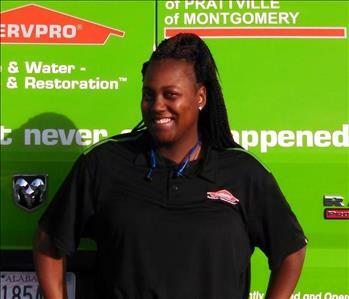 Tranisha is a Crew Chief at SERVPRO of Montgomery North since 2014. She runs her crew for water and fire damage restoration emergency services. She also is involved with the Pack-Out & Inventory (POI) of customer possessions at our HQ. Tranisha has WRT (Water Remediation Technician) Certification from the IICRC. 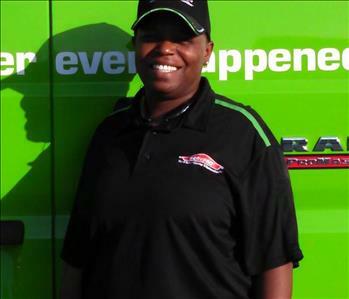 Lamare Rudolph is a Crew Chief at SERVPRO of Montgomery North since 2013. He is experienced in HVAC Cleaning, both Residential & Commercial. As a highly skilled IICRC Certified WRT (Water Remediation Technician), he shone brightly by joining our Storm Disaster Recovery Team that traveled down to Houston recently to aid the flood victims. Demarius is a Sr. 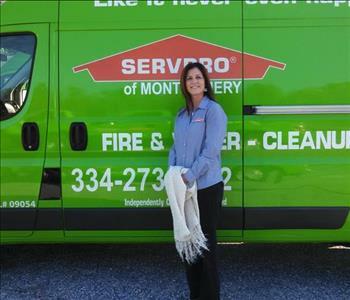 Crew Chief at SERVPRO of Montgomery North since 2014. He is a specialist in water damage restoration. He is IICRC Certified in WRT (Water Remediation Technician} and ASD (Applied Structural Drying). Demarius is outstanding with customer service and the jobsite is always clean and orderly. 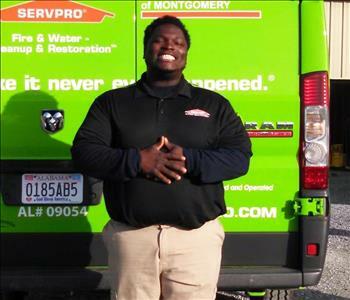 Brandon is a Crew Chief with SERVPRO of Montgomery North since 2015. He has an IICRC Certification in WRT (Water Remediation Technician) and concentrates on water removal and restoration. He follows production guidelines and is responsive to our customers. 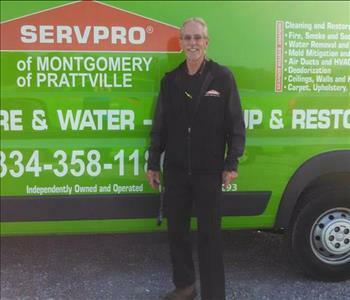 Robert Brown is a Production Technician at SERVPRO of Montgomery North since 2016. We welcome him aboard and wish him the best. He specializes in water extraction and Carpet Cleaning. Robert is good with our clients and leaves them satisfied with his efforts. 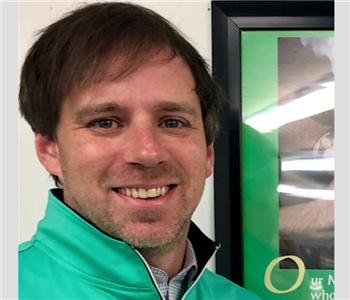 Ryan Greer is a Key Account Manager at SERVPRO of Montgomery and has been with the company since October 2018.? He is the dedicated contact for the Prattville community as well as some of the Montgomery area.? He is an active member of the Prattville Chamber of Commerce and as a life-long resident of the community, his knowledge of the city makes him a valuable resource for our company. Ryan is IICRC certified as a WRT (Water Remediation Technician).